You have probably already heard about webinars or live web-based presentations. But just in case you have not, let us explain what they are. A webinar is an online event that is hosted by a group, organization or company that is broadcast to a select number of individuals who have signed up to watch the webcast or online seminar through their computers via the Internet. The idea behind a webinar is that it allows a speaker or a group of speakers to share visual content such as videos, PowerPoint presentations, interactive web pages or other multimedia content with their audience – who can be located anywhere that they have Internet access. This type of seminar can reduce the need to travel from far or even nearby locations to receive the message or teachings of the seminar. As a small business owner who is looking to learn new business techniques or find new ways of marketing his or her product or service, a webinar can help you gain the knowledge without having to leave your city or even your office space. Webinars can be presentations or interactive seminars with viewer participation. You may also consider watching interactive podcasts that answer participants’ questions that have been submitted in advance of the recording. While a lot of webinars are now being re-broadcast on Youtube for secondary audiences, Youtube is also an excellent place to watch live Google Plus Hangouts. Another type of interactive webinar is one where, instead of the presenter just speaking into a camera, a live audience will interact with the seminar. Being able to attend a live webinar in person can be very beneficial in truly understanding the concepts that are being taught or explained. But even those who are online will feel that they part of the seminar because they too can interact and ask questions that some of the live participants can also comment on. It’s all about learning and growing the knowledge that will help your small business. The concept of webinars is not a new phenomenon. Business centres have offered these types of video conferences for years. What makes these new-style seminars unique is that participants are now able to be more interactive and rely on broadband Internet – not on multiple telephone lines. Telsec Business Centres not only rents seminar training rooms, but also offers breakaway spaces as well as team office space. 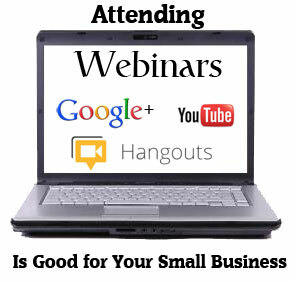 As a small business owner, there are benefits to being able to attend a webinar in person besides the networking opportunities. By attending a seminar that is being broadcast, you will gain insight into how they are run and get first-hand experience what it is like to be in the audience. This will help you when you start doing your own webinars and online seminars from your own office space. Our next blog will give you some ideas and tips on doing your own webinar. Team Space: Who can Benefit From it and Why!